A life and career cut short but not before these jams were caught on tape with all their energy and freedom of expression. 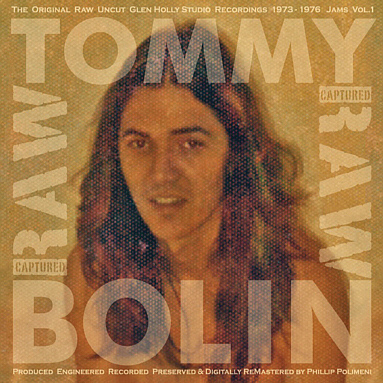 Jams from this guitar legend and his famous friends have been preserved and are now being released with the assistance of Johnny Bolin, The Tommy Bolin Archives, and the Glen Holy Studio’s Phil Polimeni. Ten Tracks never before released!